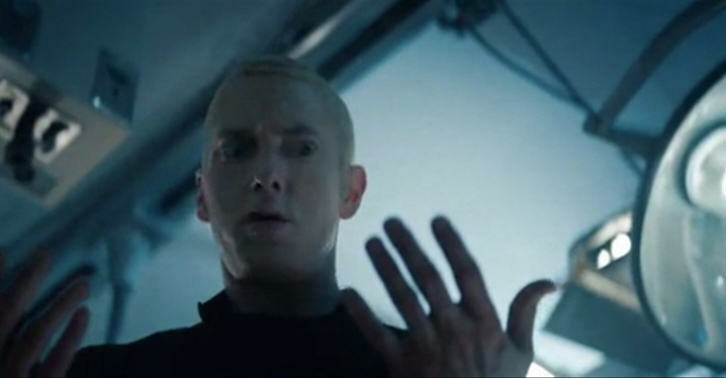 Eminem has debuted a short film containing the soundtrack to new movie, Southpaw. The song from the soundtrack, Phenomenal, will be released alongside the film which will star Rachel McAdams and Jake Gyllenhaal, with the seven minute mini movie from Eminem released exclusively to Apple Streaming service. The mini movie basically consists of the singer recreating various scenes that look like they could have come from Grand Theft Auto, with the film and the full soundtrack set to be released on July 24th. This comes after the singer’s collaboration with Gwen Stefani on another song from the film, Kings never Die, also made headlines.